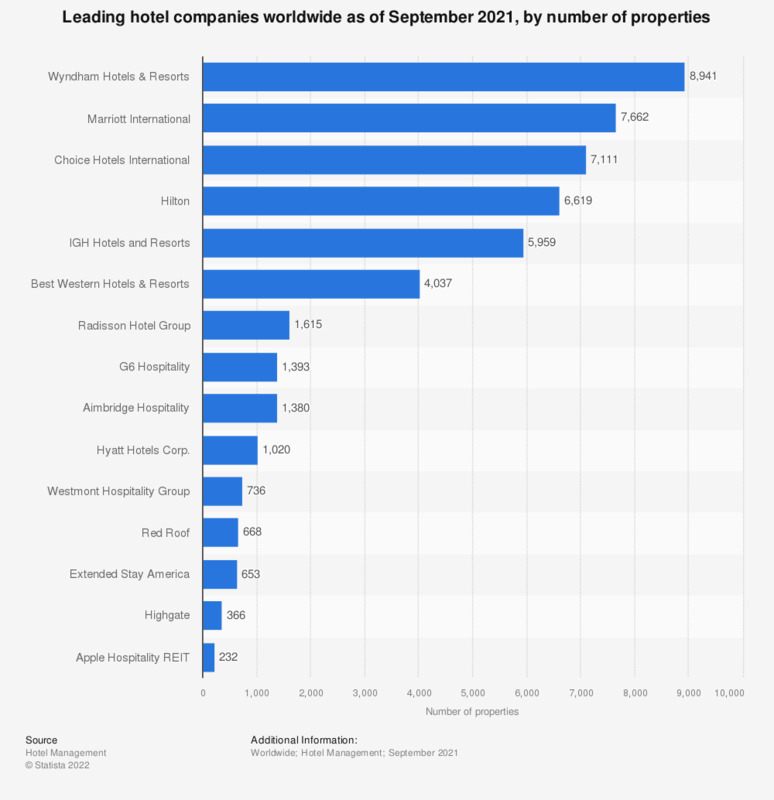 Global hotel chain, Wyndham Hotel Group, leads the ranking of the top hotel companies by number properties. As of June 2018, Wyndham accounted for almost 9,000 units in its worldwide portfolio, which ranged from economy to upscale accommodation. Its closest competitors were Choice Hotels International and Marriot International, who reported 6,857 and 6,542 properties, respectively. The hotel industry is full of competition and continues to show growth due to a strengthening global traveler pool. The competitive nature of the industry means the number of properties a hotel company has to its name is subject to change. This is due to companies building, acquiring, or selling properties. For example, Wyndham’s acquisition of La Quinta Holdings added over 900 hotels to its property portfolio in 2018. Some cities and countries, not unexpectedly, have more new hotels in the works than others. In the U.S. alone there were over 5,300 properties in the development pipeline as of September 2018. Additionally, when it came to cities, New York had the highest number of new lodging projects in the pipeline worldwide, making the U.S. one of the most productive countries in terms of new lodging construction.